How many of us have secretly wished and hoped to be one of the daredevil bike riders vrooming their way to stardom? If some of us have left it at dreams, that is another matter. Buy a single copy or subscription to Dirt Bike Rider magazine. But for all those who took up with absolute seriousness and are now stars or are on their way to being, Dirt Bike Rider is the magazine for you. 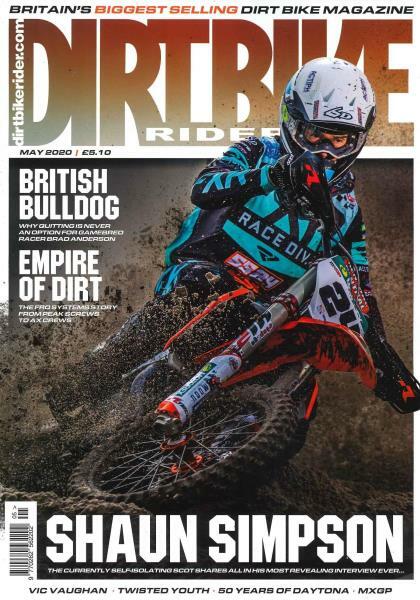 Not only does it provide extensive coverage of all the dirt bike events happening across the world, it is also the one-stop shop for all the news regarding dirt bike racing all across the world. This terrain is difficult and dangerous and therefore it is not a surprise to find out that the sportspersons are extremely skilled and know their moves. Dirt biking has seen some fascinating moments and many dangerous ones. However, the nature of this sport is such and those who are in it are in it for life. The pictures in this magazine are extremely aesthetic, and engage the reader in the sport whole-heartedly. The angles are great for getting a better sense of the biking dynamic and the readers get to learn more about what makes this sport so great. For all those looking to exchange tips, advice or suggestions, this magazine is a must-read. Apart from which, those who are looking to purchase or sell bike parts can find this magazine a useful place to get in touch with potential consumers. They also provide in-depth interviews and reviews of various performances and it is no small matter to get all the biggest names in the business to speak about the sport and why they love it.